Our Michigan gastric bypass surgery malpractice lawyers represent clients who suffered injuries in a gastric-bypass surgery. Gastric-bypass surgery is an invasive surgical procedure used by surgeons on obese patients to cause weight loss and reduce appetite. The surgery is an elective surgery but often deemed a medical necessity for morbidly obese patients. Many times, health insurance will even pay for the surgery. The gastric-bypass surgery involves the stapling, banding, or rerouting of the stomach and small intestines so that food and nutrition bypass (skip around) the usual physiological route that food naturally travels through the body. The most commonly performed type of gastric bypass surgery procedure involves the surgical creation of a small stomach pouch out of a portion of the stomach, and then attaching the small stomach pouch directly to the small intestine, thereby bypassing a large part of the stomach and duodenum. Not only is the newly surgically created stomach pouch too small to hold large amounts of food, but by skipping the duodenum, the body's absorption of dietary fat is reduced substantially. What are the Complications from Gastric Bypass Surgery? Like all surgical procedures, a gastric bypass surgery is not without risk or complication. The two most common major complications of gastric bypass surgery are bleeding or leakage of gastric fluid and pulmonary embolism. While bleeding or leakage of gastric fluid occurs more commonly than pulmonary embolism, the chance of death from pulmonary embolism is much higher. The most common major complication of gastric bypass surgery is the leakage of gastric (stomach) fluid or bleeding into the abdominal cavity (peritoneum). Blood or gastric fluid leaking into the peritoneum can cause infection and resultant inflammation of the peritoneum, a condition called peritonitis. The prompt diagnosis and proper treatment of peritonitis is essential. A doctor or surgeon's failure to diagnose and treat peritonitis in a timely manner may result in serious injury or wrongful death. 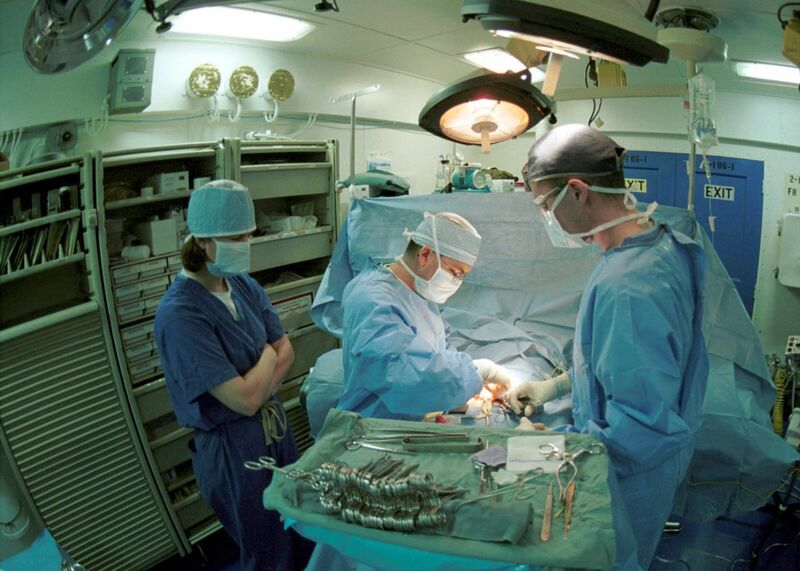 Can I file a Gastric Bypass Medical Malpractice Lawsuit? To file a gastric bypass or bariatric surgery medical malpractice lawsuit, it must be proven that the surgeon or medical staff was negligent either in the performance of the surgery or in the post-operative care. A mistake during surgery can lead to catastrophic results, but many times the injury can be corrected during the same surgery without any major or long term problems. Many medical errors are made during the post-operative course by both physicians and the nursing staff. This includes the failure to properly monitor the patient and to act urgently when the lab studies or patient complaints suggest a serious complication after the surgery. If there was medical negligence by the medical staff, the patient or a family member can file a lawsuit for medical malpractice. The lawsuit seeks compensation for pain and suffering, disability, loss of enjoyment of life, medical expenses, lost wages and other damages. In the event of death, the surviving family members can file a wrongful death lawsuit seeking compensation for the loss of companionship of the loved one, pain and suffering of the decedent, lost income, and other damages. To learn more about the laws in Michigan medical malpractice cases, you should request our FREE BOOK, "The Ultimate Michigan Medical Malpractice Handbook." The book will answer all of your questions about medical negligence cases and what is needed to win your case. If you or a loved one has been a victim of medical malpractice, you may be able to file a lawsuit seeking compensation for your injuries. Call our award winning legal team today at (800) 606-1717. We will listen to your story and determine if you are eligible to file a claim. There are strict time deadlines so it is important that you call us today.